Arts and crafts are creative way to keep kids busy and these activities will let them be creative. You can gift away custom scissors to kids and keep them happy always. These craft scissors make one of the perfect promotional giveaways for kids throughout the year. A scissor printed with your brand information will remind kids about your brand when they use it in their craft class or art programs. Personalized scissors make perfect giveaway during trade shows, picnics, competitions, barbecue parties, summer camps and several other occasions. Shop at Promo4kids.com to avail best price deals and fast production time. 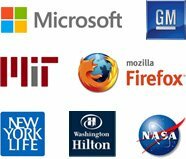 Affordable prices, 100% customer satisfaction guarantee, 110% lowest price match guarantee and freebies such as artwork assistance as well as e-design proof makes us different from others. 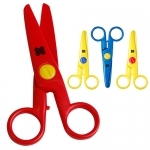 Customized kid scissors are essential items in every kinder care, schools, preschool as well as elementary classrooms. You can help kids to stay creative with crafts and arts with these high quality craft scissors. You can print your brand name or brand message on one side of these scissors to show your caring side to your young customers. Promotional scissors make effective promotional giveaways for any company focusing on kid's education. Most classrooms encourage kids and children to use scissors on the first day of school. However, we understand that sending kids to school with a pair is not a comfortable idea for many parents. Many scissors are large and some other sharp and may put kids at risk. In addition to that, scissors should be compact enough to fit into their pencil-case or art box. Finding the right pair of scissors for kids can be a tough task for most parents. You can easily help worried parents by ordering kid-proofing craft scissors offered at Promo4kids.com. We can also offer these scissors as part of customized school supply kit along with customized pens and pencils, erasers and stapler. At Promo4kids.com, we only stock kid proof craft scissors but there are some additional steps that teachers and parents can take to ensure complete safety. These are adult supervision, proper hand orientation, childproof storage and scissor cases or caps (such as scissors in sleeve). It is impossible to imagine kids advancing in their learning years without arts and crafts, isn't it? Therefore, it is necessary that kids use arts and crafts as a learning vehicle. So it is necessary for those kids to learn proper use of scissors with the help of their parents and friends. Our promotional experts will help you to understand why promotional scissors are perfect for kids and children of various ages. 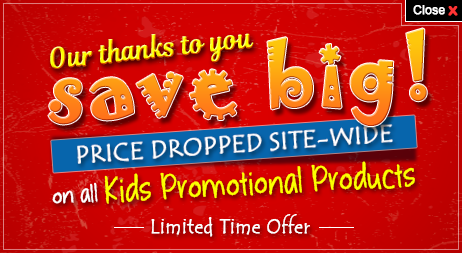 Call us at 855-454-3786 or write to us at info@promo4kids.com to know more. Additionally, we will help you in designing, selecting, deciding the imprint options and tracking your shipment without charging you anything. We have no hidden charges*.